The NT-4000 incorporates the „Pulse Synchronized“ system for reducing the fluctuation and pursuing more precise measurements. The amount of air pressure for measurements is reduced by more than 10% compared to the conventional model, for the optimum ease-of-use and patients‘ comfort. The auto-focusing detection range has been expanded more than 50% (compared to the conventional model) in the focusing direction, which allows for quicker and more comfortable measurements. 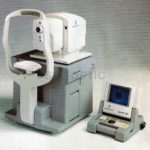 Before taking the measurement, the NT-4000 checks the position of the eyelid to avoid an error. The operator can choose from three possible operation modes: Fully Automatic, Semi Automatic, and Manual. 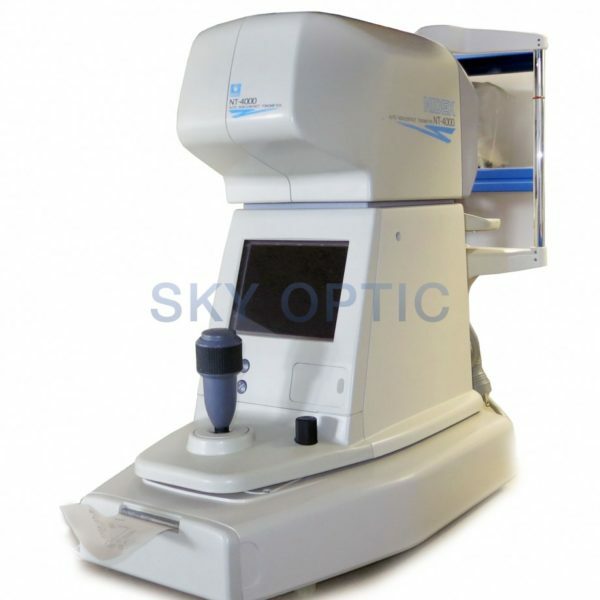 The NIDEK NT-4000 non-contact tonometer includes all of the features of the NT-2000 model with a „Pulse Synchronized“ system for reducing the fluctuation and pursuing more precise measurements. The operator can turn on the pulse synchronization by flipping a switch and then NT-4000 will capture at the peak of the heartbeat cycle to eliminate the fluctuations caused by systolic or diastolic pressures. With this function activated the noise caused by the heartbeat is eliminated and the true IOP changes can be identified. 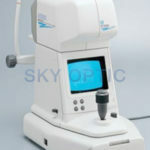 Nidek NT 4000 Non Contact Tonometer, like new Kategorie: Non-Contact-Tonometer für Augeninnendruckmessung.